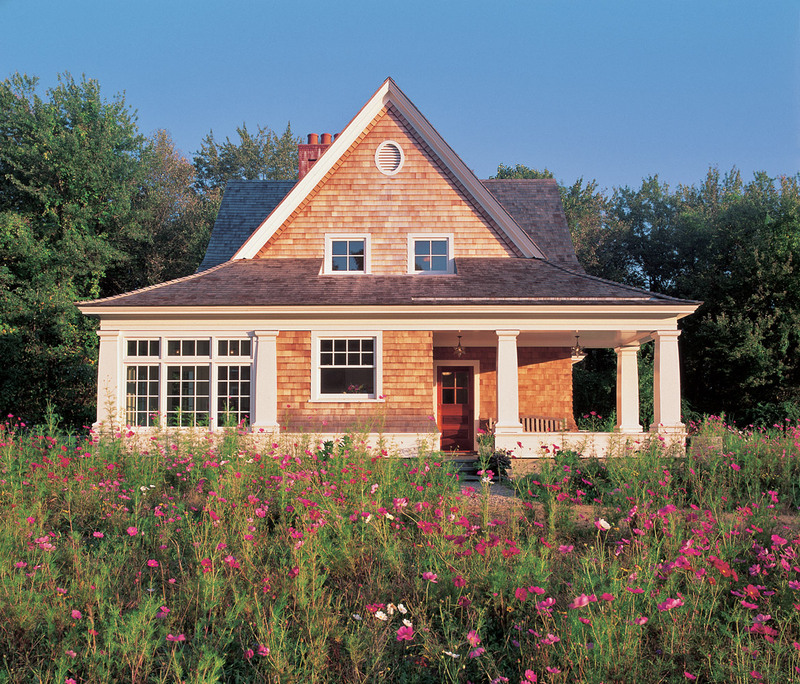 On what was once Connecticut farmland, this small but highly functional Shingle Style residence sits proudly in a three-acre field of flowers. 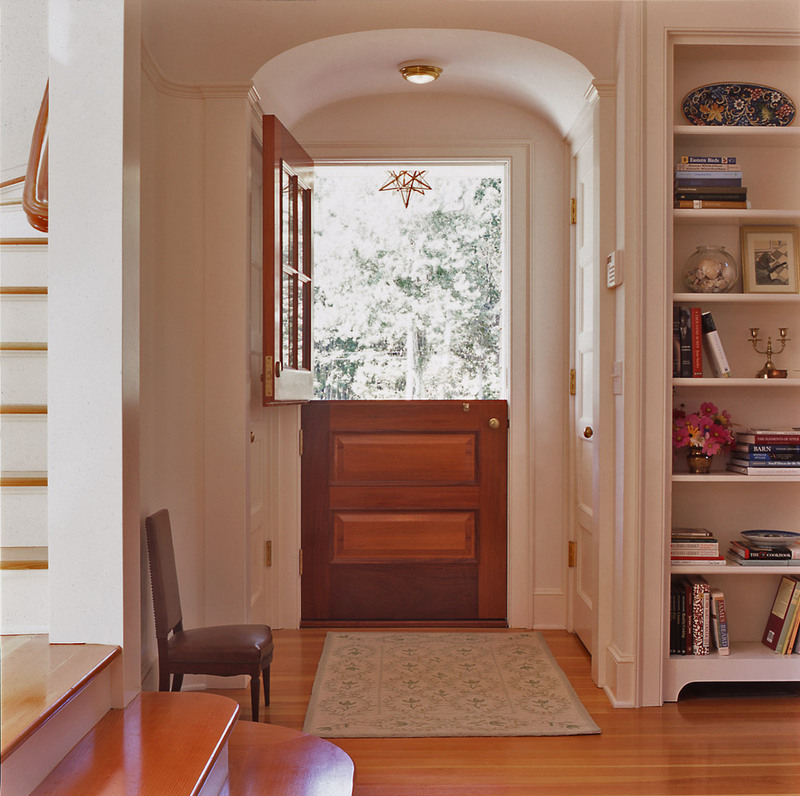 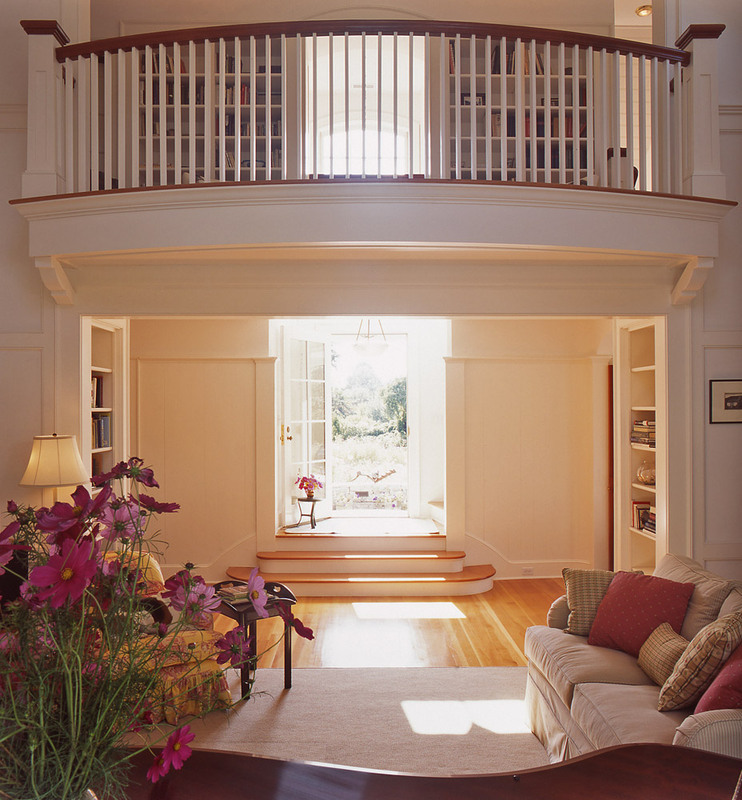 Our clients had a broad set of requirements: the house would be used as a second home and later for retirement; and it had to accommodate grown children, the couple’s joy of entertaining, a passion for books, and a north-facing studio for painting — while providing a relatively maintenance-free environment. 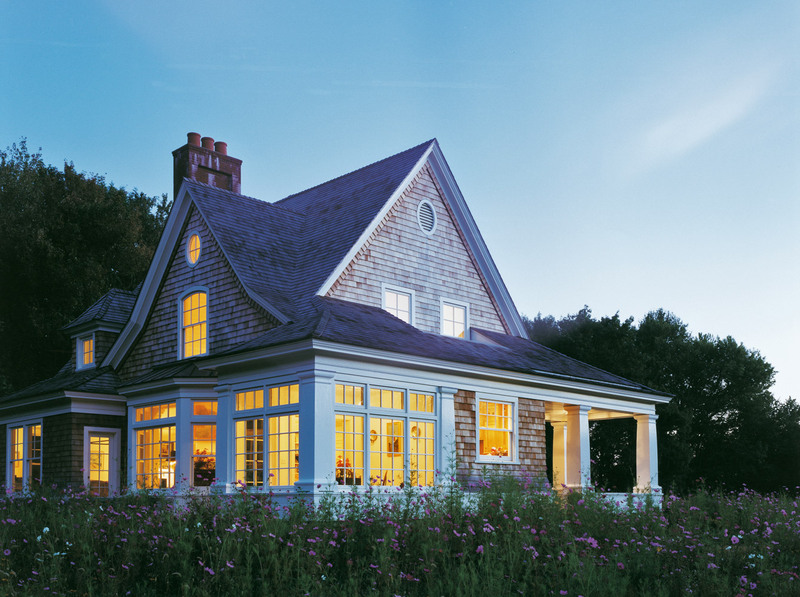 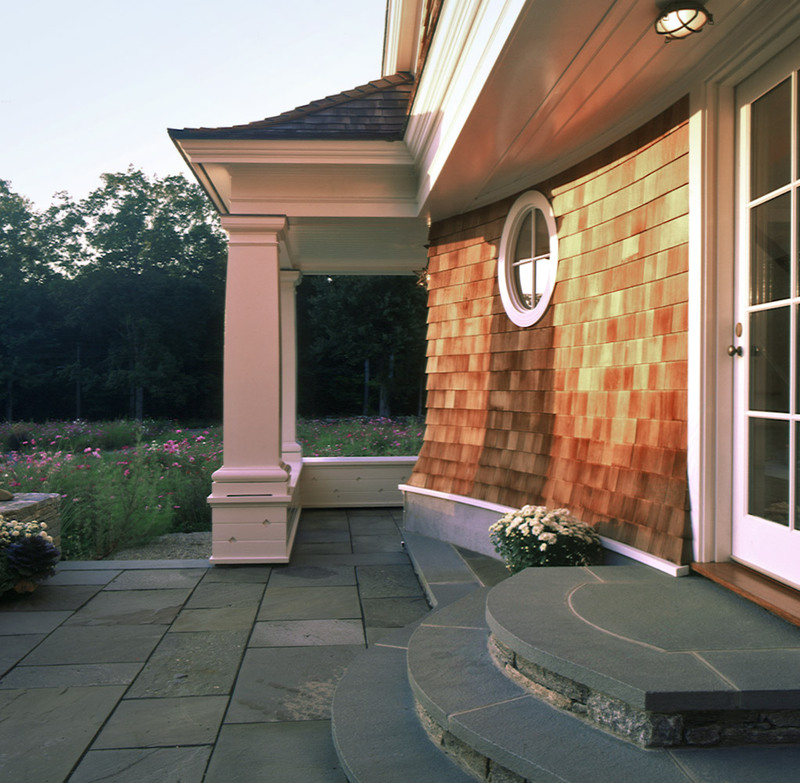 The solution was a 2,300 square-foot Shingle Style house with porches, terraces and oversized bowed columns that together create a large, bold exterior presence. 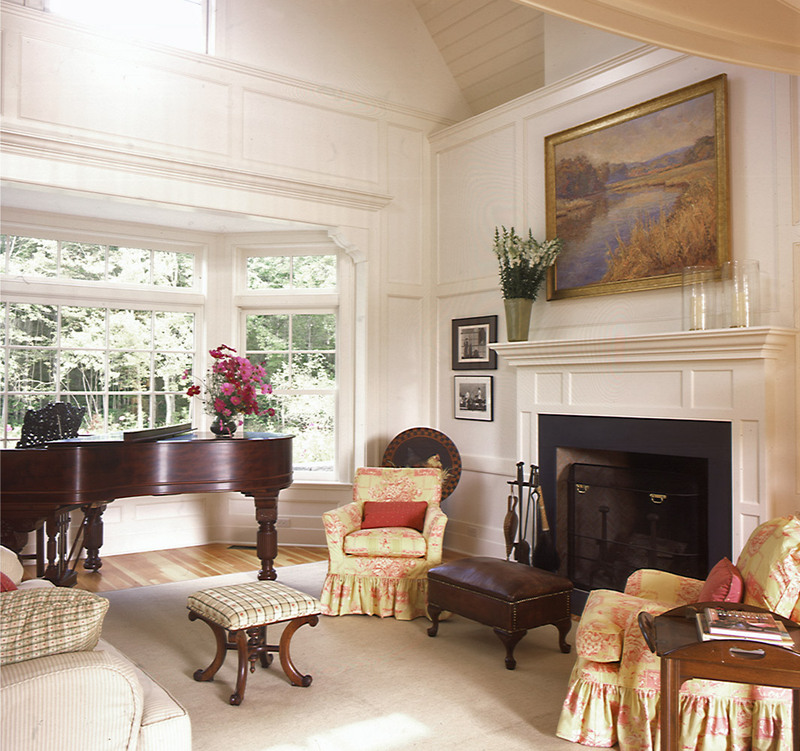 The interiors are equally strong; an ample 20’ x 25’ double-height living room is large enough to house a grand piano and ample seating for a party of fifty. 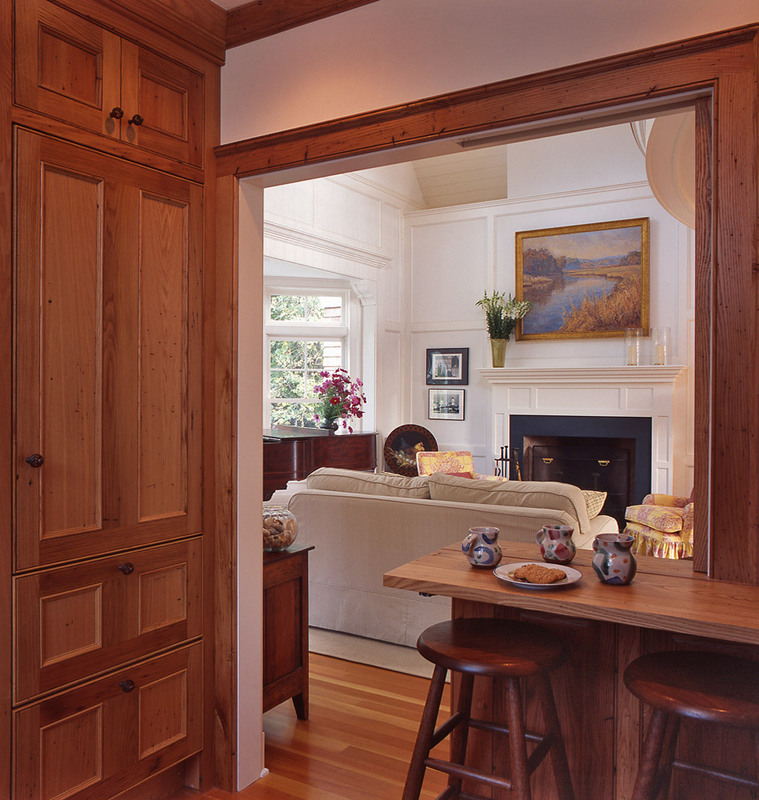 The breakfast room, kitchen, master bedroom suite and outdoor terraces are situated off the living room, and a balcony library, guest room and studio are located above.